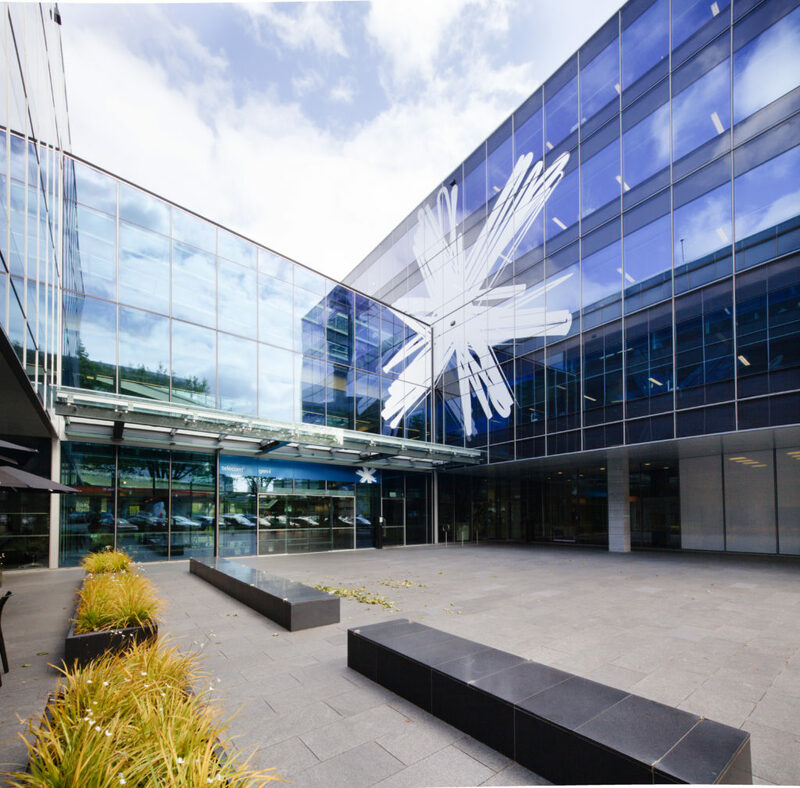 RCP provided Project Management Services to Mansons TCLM and Telecom NZ for the delivery of the integrated fit-out of this 5 star rated building. We also provided Programming Services to Mansons for the full development. The Victoria Square development occupies a city block bound by Victoria Street West, Dock Street and Hardinge Street. The site is located on one of the main arterial routes into the CBD and the prominent ridge position affords view to the Viaduct Harbour and beyond. 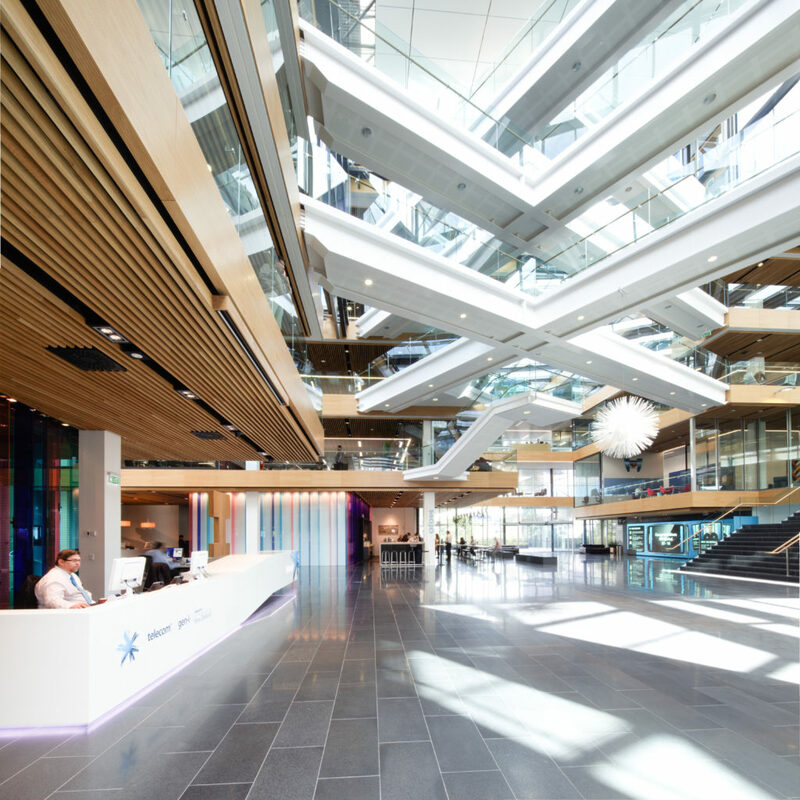 The spatial relationship of the four buildings creates a campus style working environment, with bridges linking the upper floor of all buildings. 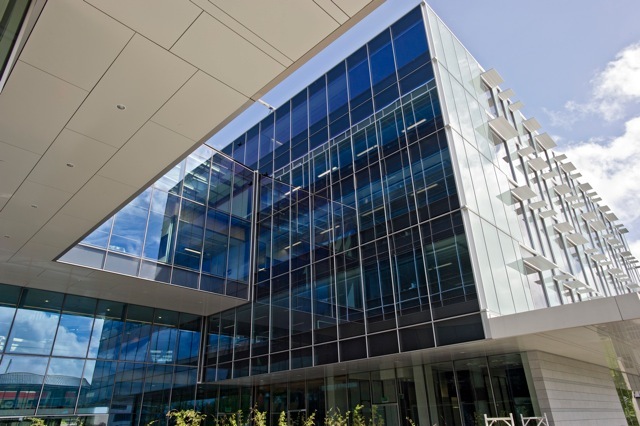 The offset building configuration creates a courtyard like central space that is enclosed by the glazed atrium. Each building articulates a base (street level), which is predominately retail use, a middle (typical floors) for commercial use and a top (pavilion roof level) dedicated commercial space with extensive views over the city. The number of levels per building varies as the buildings step around the perimeter of the site and expresses the sloping nature of the site. Large floor-plates allow for flexible layouts that can easily be modified to accommodate changing requirements over time. 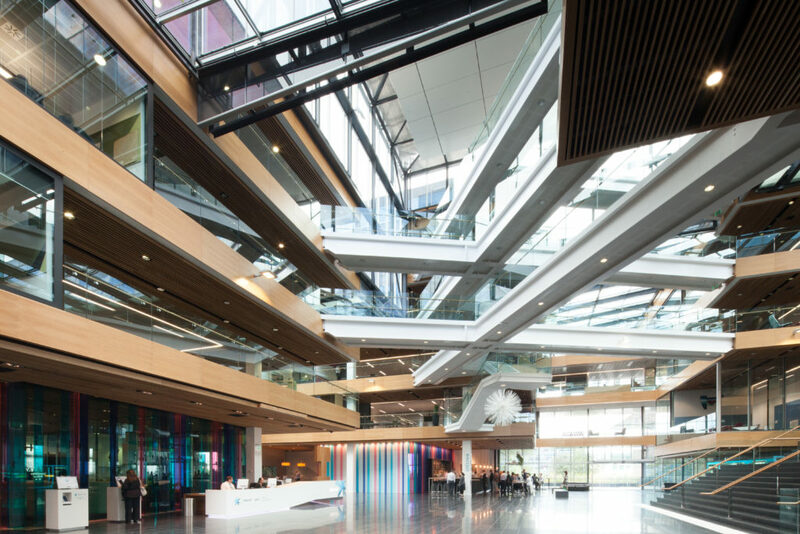 A glazed curtain wall system comprising double glazed performance glass and double glazed units with translucent coloured and pattered finishes are used alongside.